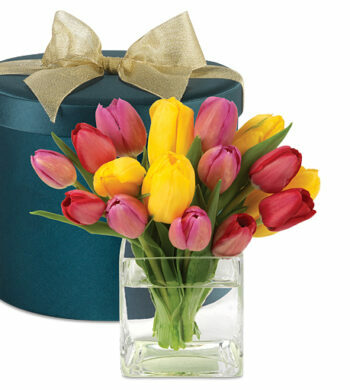 Talk about refreshing! 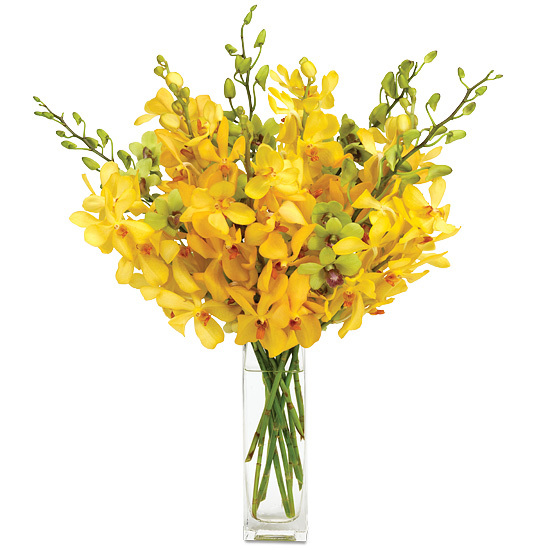 This glorious bouquet quenches a thirst for something new and different. 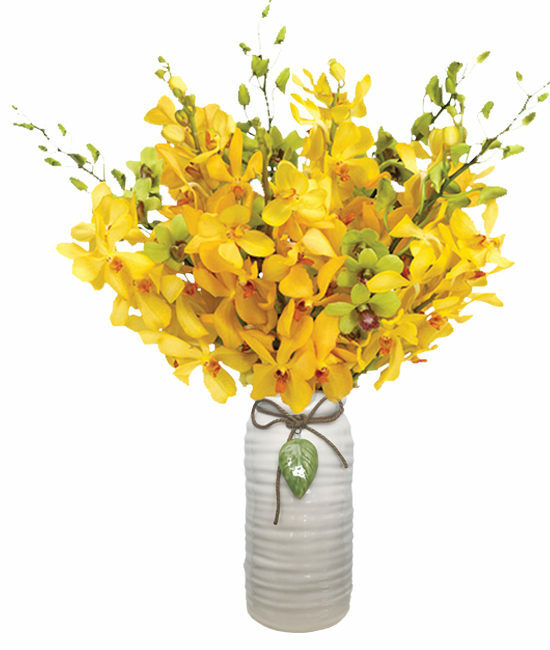 Featuring three varieties of the ever-popular orchid – jade dendrobiums, yellow arandas, and yellow mokaras – it’s bright and warm, sophisticated and chic all gathered into one dazzling display. 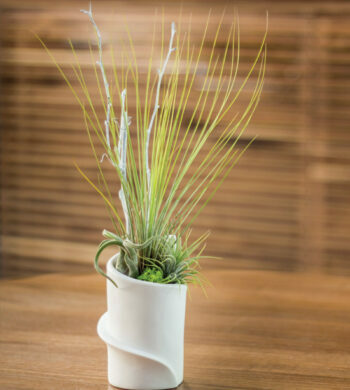 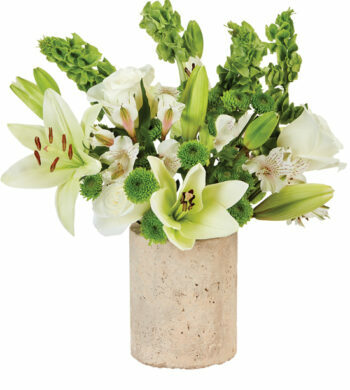 The stylish white ceramic vase with angled opening and a matching green leaf complement the blooms beautifully.